Monkey World is a unique place! Visitors can see four large family groups of chimpanzees living naturally outside of Africa, Europe’s only orangutan crèche, and an active breeding population of incredibly endangered woolly monkeys. 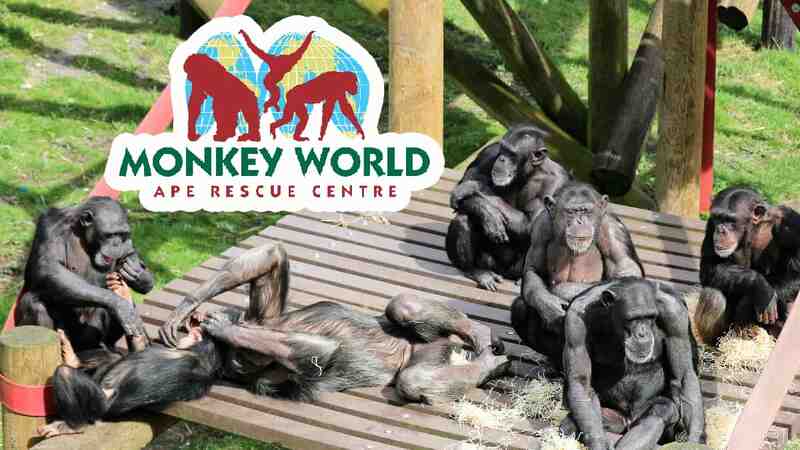 Monkey World does not receive any outside funding, and yet is known as the world’s biggest primate rescue centre of its kind, assisting governments worldwide to stop the black market trade in endangered primates. Support the park’s work by adopting a primate, and get a year’s pass to the park! « Visit The World Rugby Museum and Twickenham Stadium Tours today and experience interactive exhibits and more!